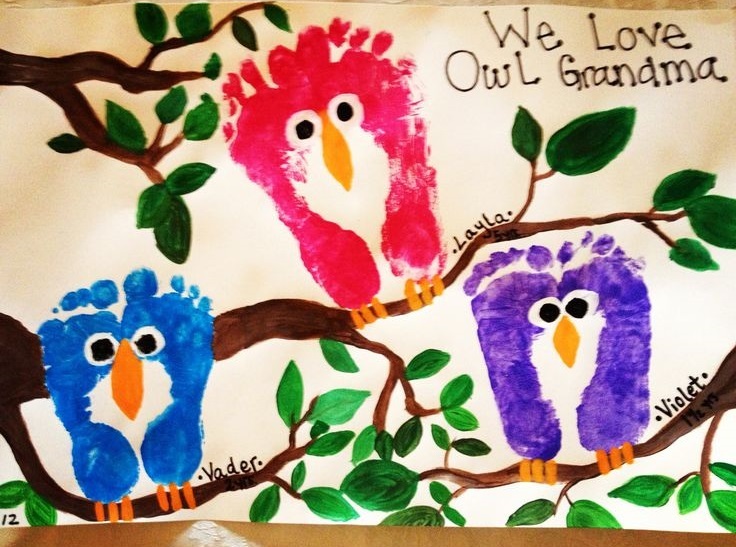 Do you know you have a little artist at home with some amazing "baby footprint" skills? 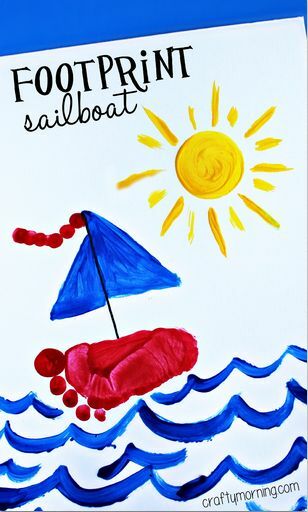 Let your baby do the artwork that you will cherish for life. 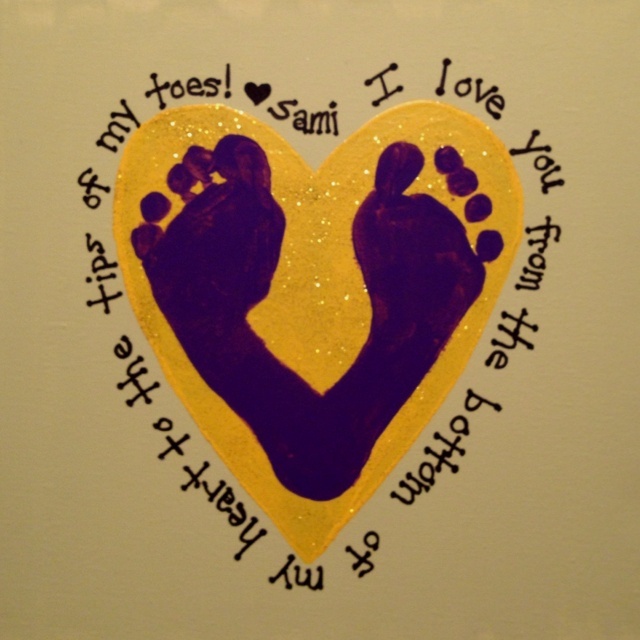 Here are some super-creative ways to use baby footprints on different occasions or just as a keepsake. 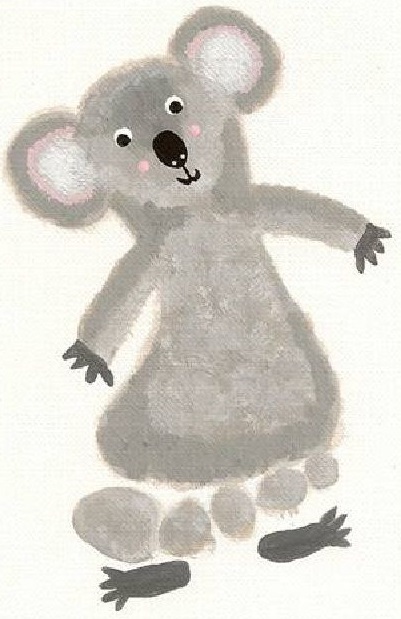 You can make personalized cards using your baby's footprints and give it to a loved one like the grandparents or godparents . Now, who wouldn't love to receive this! 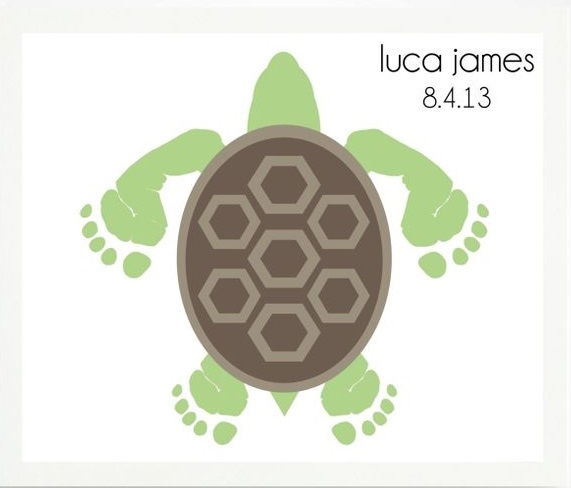 It is a good idea to decorate your baby's nursery with his/her own artwork - what could be more unique than this? Also, wall art with such memorable impressions can also be used in your family living room. 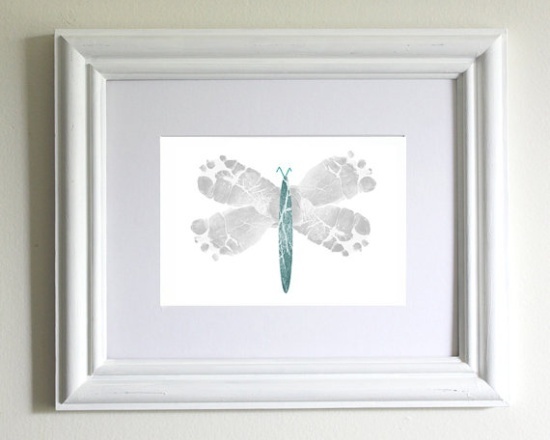 Check out this lovely butterfly pattern that you can make for your spouse. 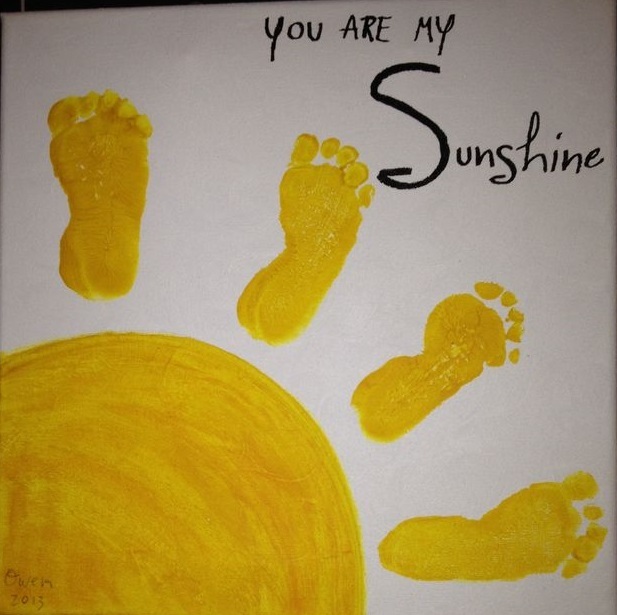 Instead of using on the baby's footprint, you can include your older children in this too. 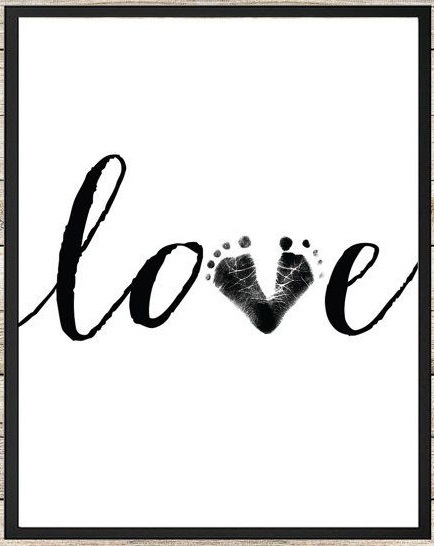 What a lovely way to cherish love with your children. 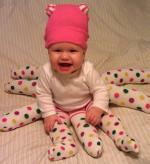 A pair of cute little feet make a lovely Christmas tree. 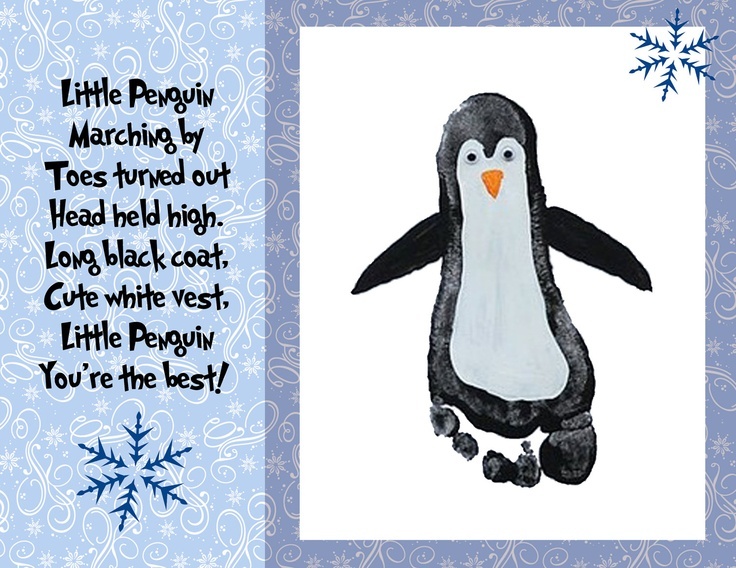 And doesn't Christmas reminds us of snowmen? 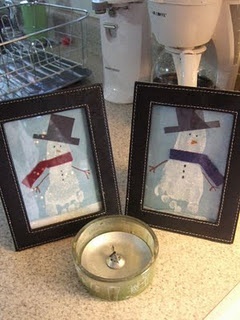 You can create separate snowmen of all your children. The different feet sizes will make them stand out. 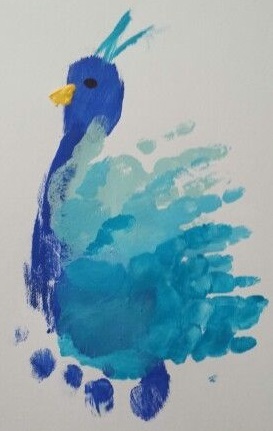 Below is a lovely peacock made with one footprint and 3 handprints. 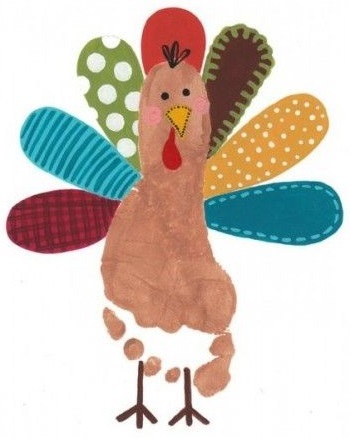 You can make a turkey instead of the peacock to give it a Thanksgiving look. The whole family can leave a mark! 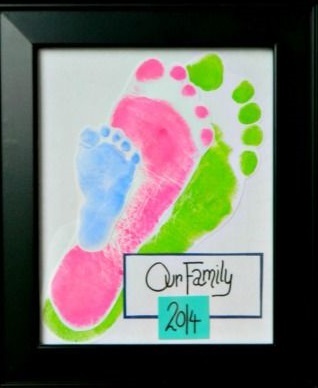 Cut out the footprints (ideally in different colors) of all family members and paste them altogether. Tada!! 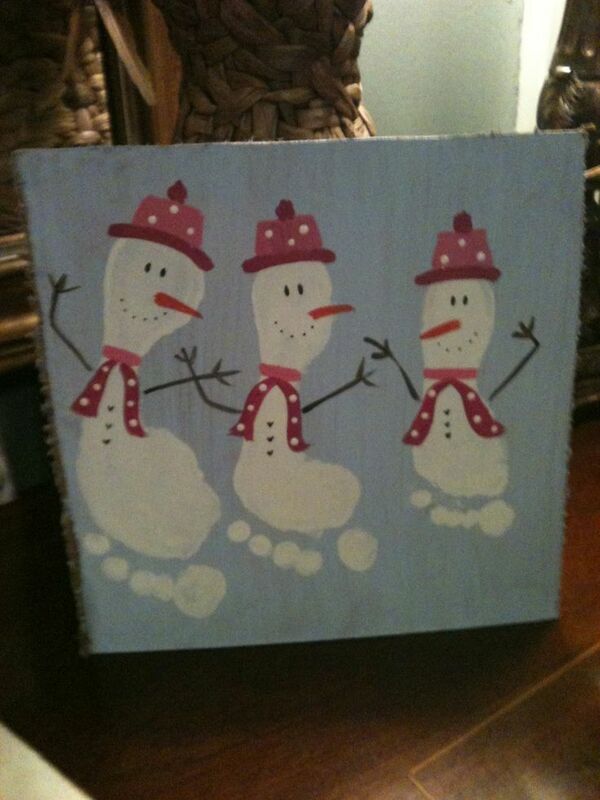 ...or how about making a snowmen family with not just your baby's footprint, but the whole family lending its feet! It is super easy to make salt dough. 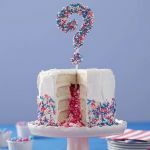 Salt dough products last for a life time, even more! Mix them well and roll out the dough. Bake it for 4 hours in 200 degrees Celsius. Take out and let it cool. 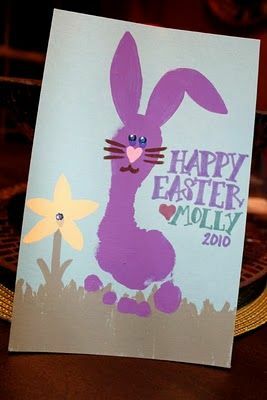 Paint it (you can ask your other child to help) and/or use glitter to decorate it. See, there are a hundred ways (or even more!) 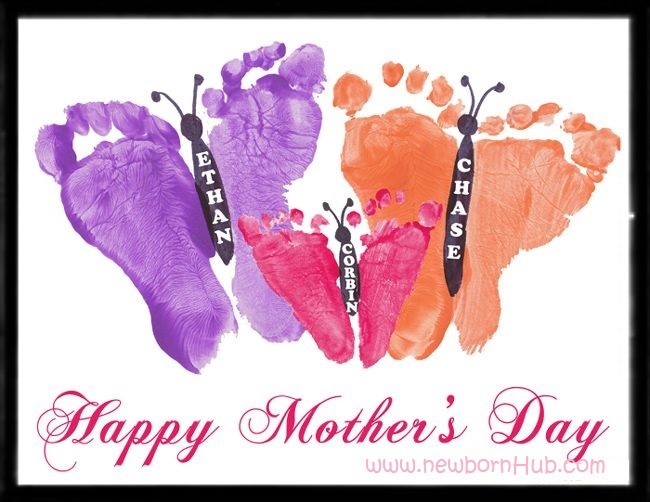 to cherish those lovely feet and make some super-cute memories. 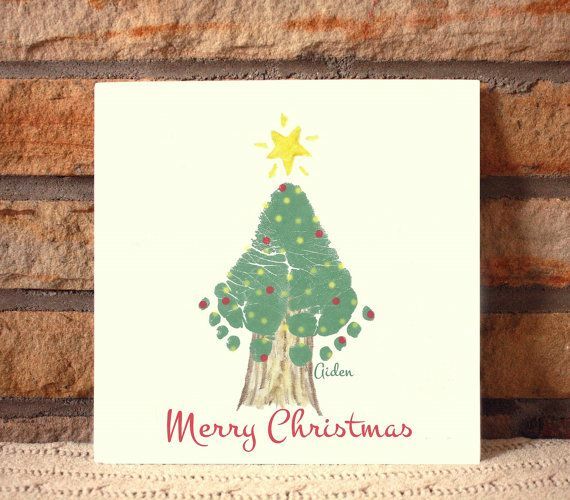 And you don't have to be an Arts and Craft genius for this - just use our ideas and your love! Return to Get Creative section.